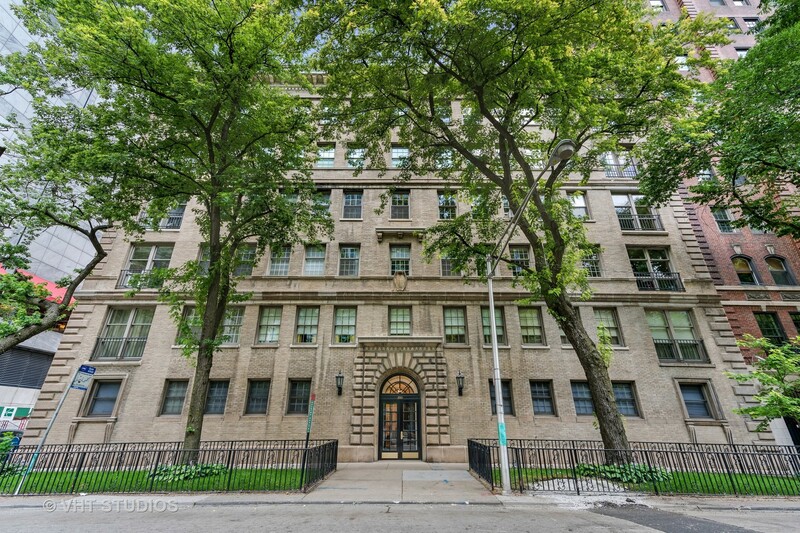 For those seeking privacy, space and elegance, this stunning co-op is the perfect fit. With only two homes per floor and ten total in the building, it truly lives like a single family home. High ceilings with crown molding, grand room sizes, built-in cabinetry, a wood burning fireplace with gas starter and hardwood floors throughout. The living room opens seamlessly to the dining room where you can entertain in style! Open the 3rd bedroom to the kitchen or maintain as a guest room/office. All bedrooms are en-suite. Enjoy tree top views of the MCA and Lakeshore Park with an abundance of natural light from a wall of south facing windows. Mies vanderRohe maintained his home in the building for nearly 30 years! Rental parking nearby. 70% financing allowed. Dogs welcome. Huge storage on-site. Property information last modified by seller on Monday, October 15, 2018, 04:22 PM CDT. Information Deemed Reliable But Not Guaranteed. Unauthorized duplication, use, or linkage is prohibited. The information on this web site is for personal, non-commercial use and may not be used for any purpose other than to identify prospective properties consumers may be interested in purchasing. Monthly Payment Calculator results are for illustrative purposes only, not a financing opportunity; calculations assume a 30-year fixed-rate mortgage and do not include closing and other costs. Property Tax on NEW properties is estimated at 1.5% of Listing Price for payment calculation purposes; actual value may be higher or lower.